SEO stands for Search Engine Optimization. However, what does that mean? SEO is the process for improving traffic on your website to make a website visible on Google, Yahoo, and Bing or other search engines. The higher the website appears in search results, higher the number of visitors your site will receive. How to Improve Ranking in Search engines? There are many methods to improve your page ranking without depositing paid schemes offered by search engines. 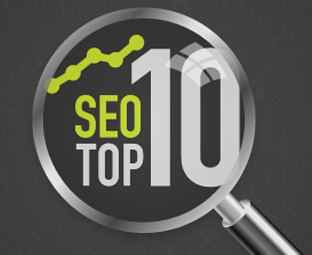 The following ten methods will help you to know how to get Higher Ranking. Page title may refer to your site title of any other module of your website. Page title tells the user what your site or web page is about. So it is most important to keep the description short and relevant. The page title should be of interest as the keyword. Keywords are very important part of every single module of your website. They are helpful when users want to get information about some specific thing. It is ridiculous to display so many keywords, but the relevant one is necessary to mention. Sitemaps allow the webmaster to include additional information to URL. More are the external links on your website, more are the chances to get the higher score in search engines. It allows searchers to locate other websites and pages quickly. URL helps a lot in making higher ranking in search engines as it allows the users to get what they want. So improved quality of URLs will do it for you. URL must be short as it boosts up the user experience to head towards relevant data and keywords. Updated content is significant in getting higher SEO ranking. Updated content determine that site be pertinent and fresh. If you own any blog website, you must post content on a regular basis to get higher ranking in search engines. Mobile first is no more a new trend now as mobile usage is increasing day by day. Search engines give greater importance on mobile compatibility. Web developers should take into account that their web application is mobile friendly. If your website has a gallery or many images and videos to load, you must use ALT tag to display the alternate information or text about your resources. They help search engine to locate your page and display before viewer who uses text-only browsers. The Meta description on pages of your website gives search engines more choices to determine what your page is about. You can implement three meta data like title metadata, description metadata and keyword metadata in your head tags. It is recommended to use small size images as it takes only a while to load. They are better for mobile devices as it is also a plus point for mobile compatibility. So focus on making small size images while developing websites. User experience (UX), which is the very important term in every technical domain. It includes, how long visitors stay on your site? Which page has higher no. of clicks? They are all point you should count while SEO analysis.